For many book lovers, living in a library would be a dream come true. Viviani Fedeler is living such a life in The Story Collector. Viviani was born in the New York Public Library where she lives with her parents and her two brothers. She loves stories, but doesn't think the stories of her own life are very important. When Viviani tells a new girl at school that the library is haunted, the girl does not believe her. Viviani's plan to prove she is not a liar gets her into a predicament with her friends, but then she needs the help of one of those friends to solve a library mystery. This book takes place in the 1920s and is based on the real life Viviani Fedeler who was actually born in the New York Public Library in 1917. Because her father was the superintendent of the library she lived there until she was fifteen. In the note at the end of the book, the author provides some historical information about Fedeler's family and the library itself. The story draws readers into the time period, but also brings the library itself to life. From playing baseball in the library, with books as bases, to hiding in the card catalog, to exploring the rooms of the library at night, Viviani's life in the library seems fun and full of adventure. The story also addresses friendship as Viviani wrestles with a dilemma related to making and keeping a friend. The ending of the story is satisfying as Viviani learns about stories and realizes she does have a story worth sharing. 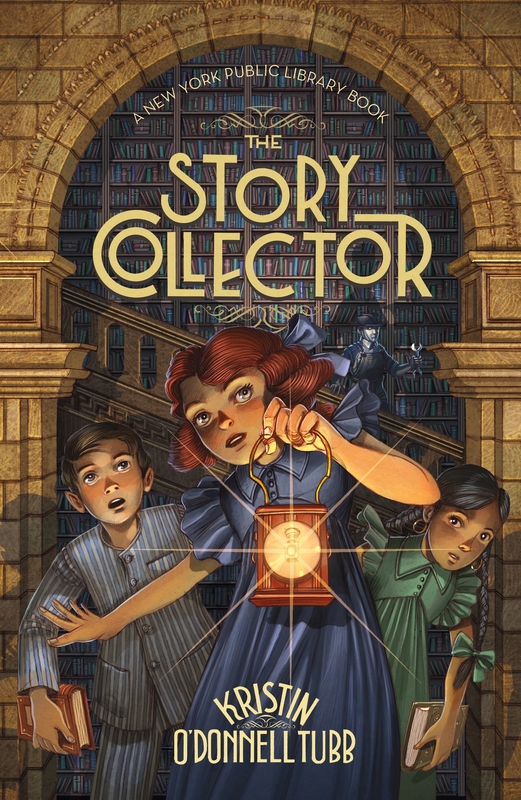 The Story Collector will speak to the hearts of those who love books and stories, especially librarians. With an interesting setting and a plot with a bit of mystery this story is an enjoyable read. I read a digital review copy of the book. This book publishes in August.